"I am a Jedi, like my father before me." You can resurrect the Force with these Luke Skywalker costumes. 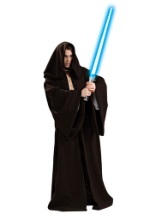 Whether you are looking for a child, adult costume or a blue bladed lightsaber , we have what you need right here.